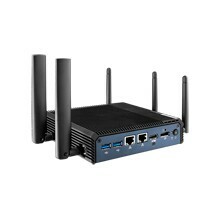 Advantech industrial motherboard series range from Mini-ITX Motherboard, Micro ATX to ATX form factor boards. These industrial motherboard series are built with standard form factors which allow customers to seamlessly upgrade without compatibility concerns. 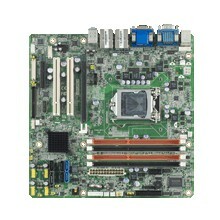 Commercial motherboards typically have a short life-cycle, so Advantech industrial motherboard series: Mini-ITX motherboard, Micro ATX and ATX have strict revision control, which means engineering changes are kept to a minimum to reduce the high cost of design changes and reduce costly maintenance and upgrade efforts. 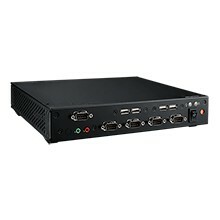 These industrial motherboard series (Mini-ITX motherboard, Micro ATX & ATX) are ideal solutions for customers who are used to using commercial off-the-shelf products but require the flexibility of PCIe, PCI-X, PCI and AGP card expansion with industrial features such as longevity, reliability and manageability. Advantech Riser Cards provide scalability and flexibility for PCI Express(PCIe) expansion slots and 1U/2U systems with Advantech industrial motherboards. 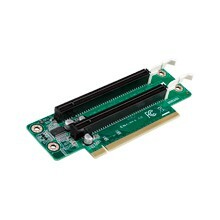 We have a wide selection of riser cards for use with motherboards having a PCI Express or PCI slot, integrated into the system to allow the additional cards in a horizontal position. 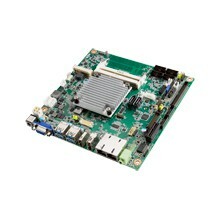 Advantech offers high performance riser cards for a full range of industrial motherboards. MicroATX (uATX) or mATX Industrial Motherboard is only 244 x 244 mm and suited for space/cost sensitive applications where less than 4 slots are required. mATX enables the same high integration of ATX but with a smaller footprint that fills the gap between MiniITX and full size ATX, balancing performance and expansibility. Equipped with LVDS interface, longevity and revision control, MicroATX(uATX) is ideally suited for medical and instrumentation applications.